AM/P series have an outstanding power-source performance / abundant performances / substantial option, and correspond to broad request of your processing site. 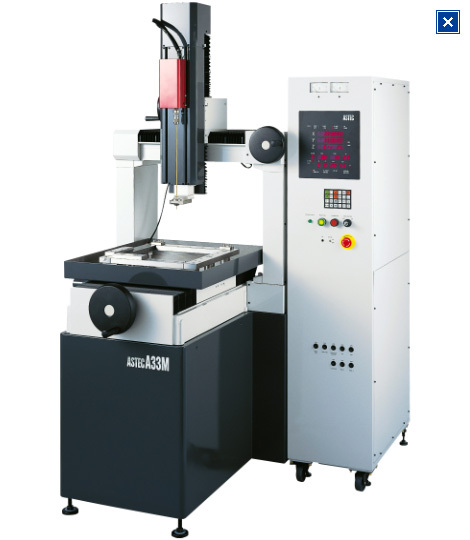 In addition to abundant performances, high-speed small-hole-electric discharge machine AM/P series exhibits an outstanding cost performance by its easy operativity. 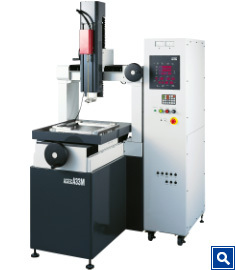 This is a separate type of EDM which the machine body and the power-source are able to combine freely according to your site operating condition. 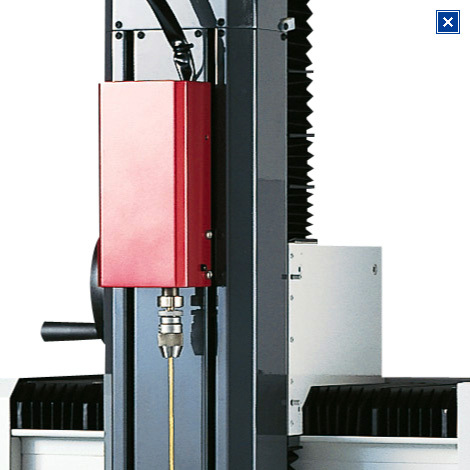 Furthermore, A33M type enables high rigid and highly precise processing with the gate type and V shape flat configuration. 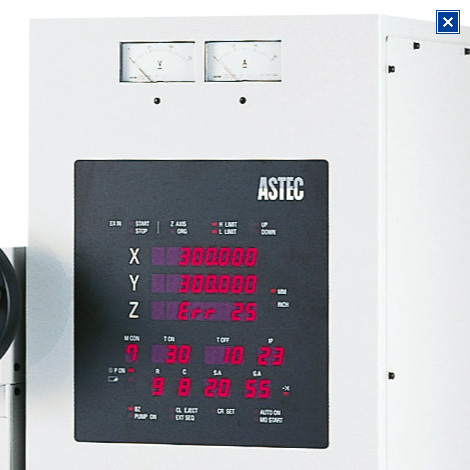 High-speed processing is achieved from small to large diameter. Since introduction of the high power source which optimized processing of various material (metal) can perform high-speed processing from a small-hole to a deep large-hole, the drastic improvement in productive efficiency is possible. 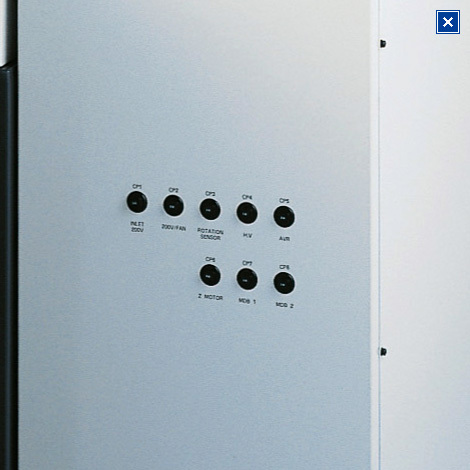 Burrs generated at the processing surface inlet port are controlled substantially. An original circuitry which goes up automatically for every step from 0 to the goal setting value is adopted as a processing current value in the CPU circuit by which built-in to the power-source. As a result, the burrs generated at the processing surface inlet port is stopped substantially, and a good processing surface is provided. Since Z-auto function is equipped, processing is completed only pushing the start switch by setting up processing depth value (Zd) and an electrode lifting value (Zu). Moreover, if I/O terminal block (option) is used, automatization can also be performed easily by connecting with external instruments, such as an index table. Processing-conditions preset function is built in. The processing conditions of 15 patterns can be registered, and various works can be processed efficiently. Moreover, processing conditions can be changed freely. 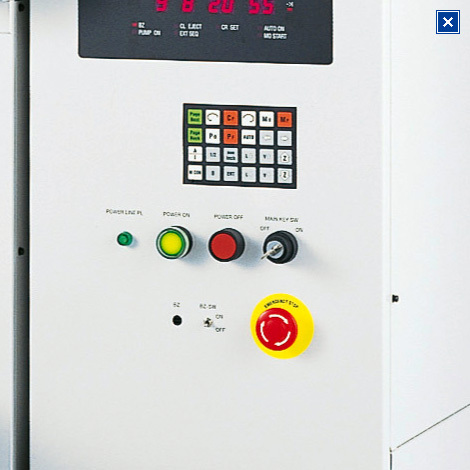 Only one signal performs from initiation to termination of the processing automatically. 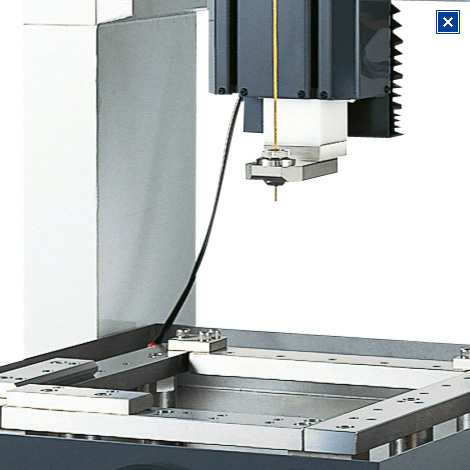 When the electrode becomes shorter than the set-up numerical value during processing, the Z-axis goes up automatically after the processing is finished. In order to decrease fusion substance at the processing inlet port, and to improve processing stability at the processing outlet, three kinds of processing conditions according to a processing depth are performed by automatic switching. It is confirmed whether the drilling of hole was normally processed by the consumption of the electrode. Processing of the specified depth (blind hole) can be performed without considering consumption of an electrode. It outputs a signal of the set-up number of times of processing.